This is a sponsored post written by me on behalf of Harvestland by Perdue for IZEA. All opinions are 100% mine. This Chicken Piccata is an easy, breezy weeknight meal. It’s full of bright lemon flavor, briny capers and cooked in a simple wine sauce that goes great with pasta and lots of fresh parsley and freshly grated parmesan cheese. Now that it’s finally spring, I want to fire up the grill and eat all the spring foods, like asparagus – so yum. However, it’s been fuh-reezing here in New England still. Like, ridiculously cold. It’s even snowed a few times since spring started. Seriously, what the h is that. We’re finally getting some warmer weather coming our way but I just don’t want to brave the chill (and wind) to cook outside. Lame, I know. But making this chicken piccata dish makes me feel like I’ve got spring on a plate and I get to do all the cooking from the comfort of my own kitchen. There’s something about lemon that makes me feel like spring has sprung. Maybe it’s the bright color and a bit of wishful thinking. But I’ve also got several pounds of lemons sitting on my counter just because it “felt” like spring. And by “felt like spring” I mean it’s from the longer, brighter days. Obviously not from the weather. Ha. 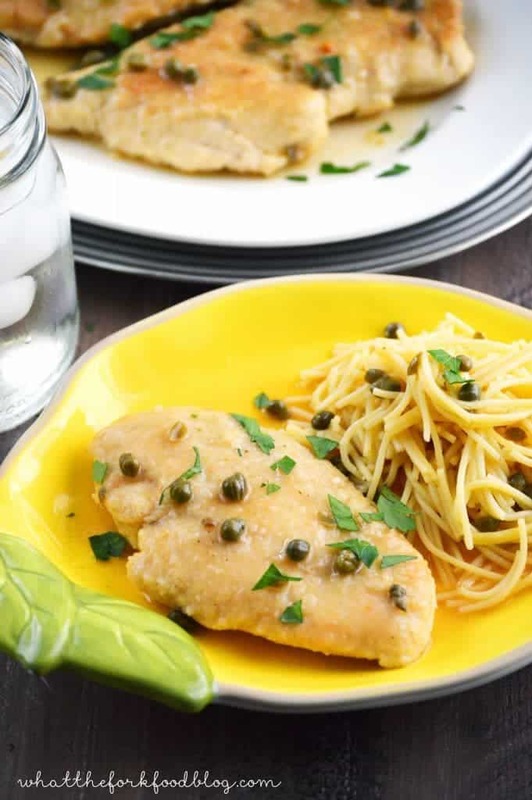 This chicken piccata is so good – it’s full of bright lemon flavor, briny capers, and it’s wicked easy to make. It’s a winner winner chicken dinner (sorry, can’t help myself). You can use all chicken stock for the sauce instead of the wine but I’m partial to wine sauce. WINE in your meal and with your meal, guys. There’s nothing wrong with that. For this chicken piccata dish, I used Harvestland® by Perdue® chicken. Harvestland® by Perdue® is all-natural with no artificial ingredients – meaning NO antibiotics, they’re fed an all-vegetarian diet with NO animal by-products and are raised cage free. And they come from farmers right here in the US. It’s chicken I can feel good about feeding to my family and you can feel good about it too. Harvestland® by Perdue® has fresh and fully cooked turkey, chicken and pork products available at Walmart. You can read more about it here –> Eat Like Your Ancestors. I can’t wait for it to get warmer and fire up the grill to make some grilled chicken, grilled veggies, grilled everything and anything. In the meantime, enjoy this chicken piccata dish and keep dreaming of spring with me. And to all of you already enjoying nice, warm, sunshine-y spring weather, I hate you and I don’t want to hear it. Just kidding, I absolutely don’t hate you, I’m just uber jealous. Enjoy! Season both sides of the chicken with salt and pepper and dredge in the flour. Heat a large skillet over medium heat. 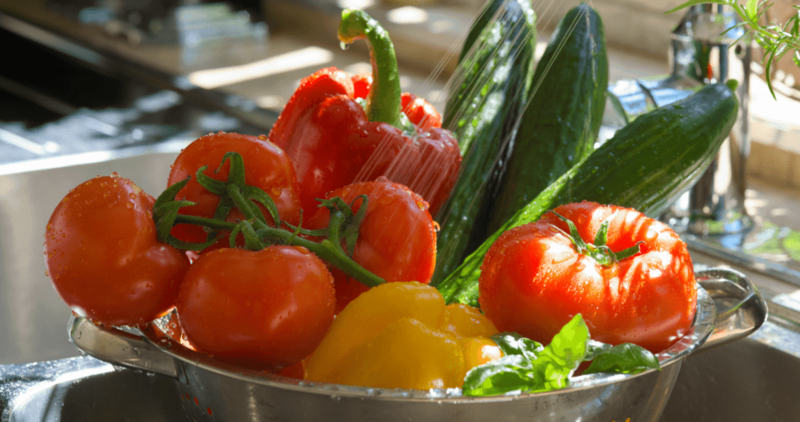 When hot, add the olive oil and 2 tablespoons of butter. Brown the chicken on both sides, about 3-4 minutes per side depending on thickness. When the chicken is done, move to a plate and cover with aluminum foil while you prepare the sauce. To make the sauce, add the wine to the pan and scrape up any bits of chicken off the bottom of the pan. Add the chicken stock, capers and lemon juice. Taste for seasoning and add the sugar to offset some of the tartness if desired. Add the chicken back into the pan and simmer about 10 minutes, turning the chicken halfway through. Garnish with parsley before serving with pasta. 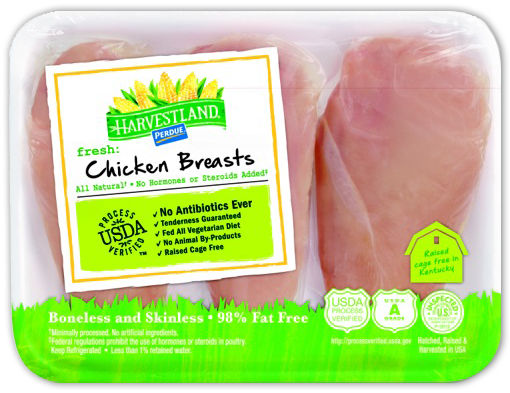 $1.00 off Harvestland Fresh or Frozen Chicken. 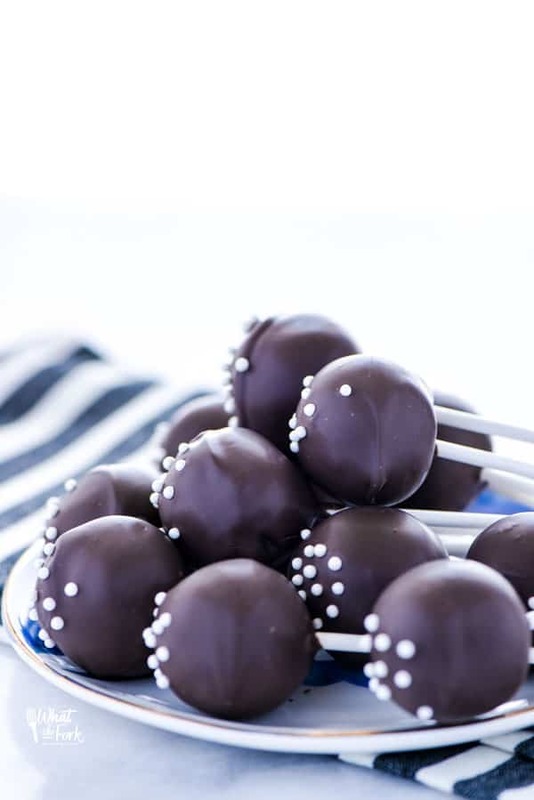 This post is linked to Inspiration Monday, Made by You Monday, Two Cup Tuesday, Totally Talented Tuesdays, Create Link Inspire, You’re Gonna Love It Tuesday, The SITS Girls, Create & Share DIY and Recipe Party, Gluten-Free Wednesdays, What’s Cookin’ Wednesday, Allergy Free Wednesday, Wine’d Down Wednesday, Full Plate Thursday, Showcase Your Talent Thursday, Create it Thursday, Crafty and Delicious Party, Your Turn To Shine, Pin Junkie Pin Party, Gluten-Free Fridays, Link Party Palooza, Savoring Saturdays, Weekend Wind-Down, Weekend Potluck and Best of the Weekend. Chicken Piccata is such a classic dish, and I absolutely adore it! How-ev-er, I always forget about making it for some reason. Thanks for the DELISH reminder! Pinned! This is my favorite dish to order out. I will have to make this at home! This chicken piccata is gorgeous! I love how the lemons make it taste so fresh and light! OH… sad day on the weather front. You just need to move down south by me! Its been 70/80 for the past two weeks! 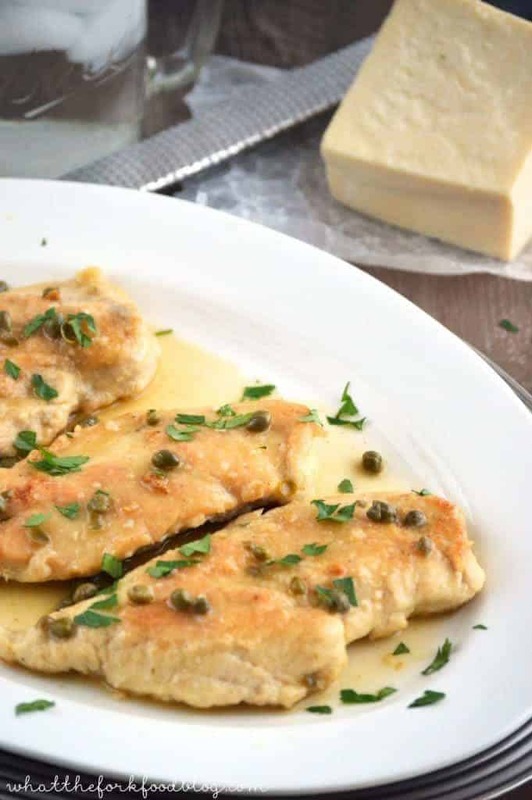 Luckily you can curl up to this amazing Chicken Piccata recipe! Love it! We definitely plan on moving south in the future – can’t take this cold weather for too many more years! Simple and delicious! Will be making this recipe this week! I need to try to create a piccata I can CHOW DOWN ON!! 🙂 Because I love me some chicken and this sounds DELICIOUS! I’ve never made chicken picata! Looks delish! Are the capers essential? I was wondering if I could sub mushrooms. Thanks Julia! The capers add a nice briny taste that the mushrooms couldn’t replicate. Add the mushrooms, artichoke hearts along with 6 0z. of cooked panchetta bacon and by all means the capers. 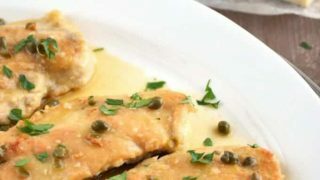 We love Chicken Piccata, it looks fantastic! Thanks so much for sharing with Full Plate Thursday and have a great week. This was in my eMeals plan to make this week. I had never had it before…we LOVED it! Glad to hear you loved it! It’s a new family favorite here too! I forgot to mention–I found you on Miz Helen’s link party and wanted to invite you to my link party as well. It’s called Food & Fitness Friday and happens every Friday! 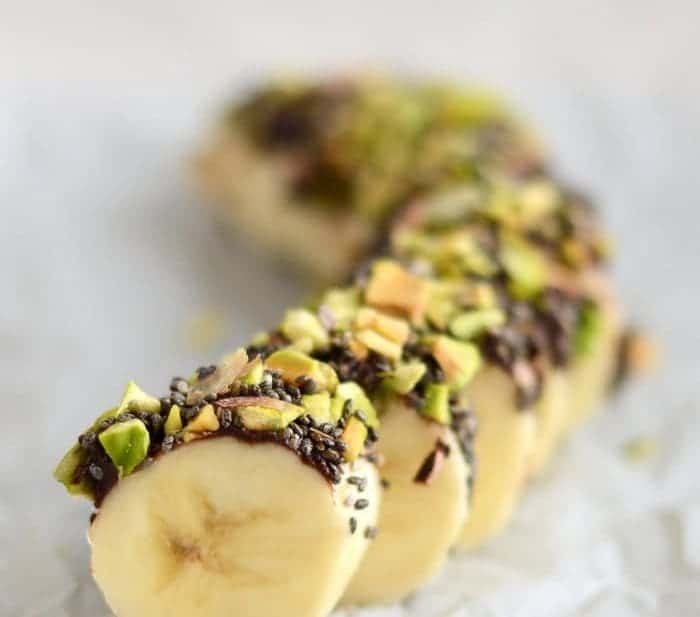 I hope you will stop by and share one of these yummy food posts!